How Do I Make My Customer Inactive? My Customer has a zero balance and when I tick the Inactive box I am still getting a warning, why? The warning above refers to Customer Items (OPE's) that are still active. 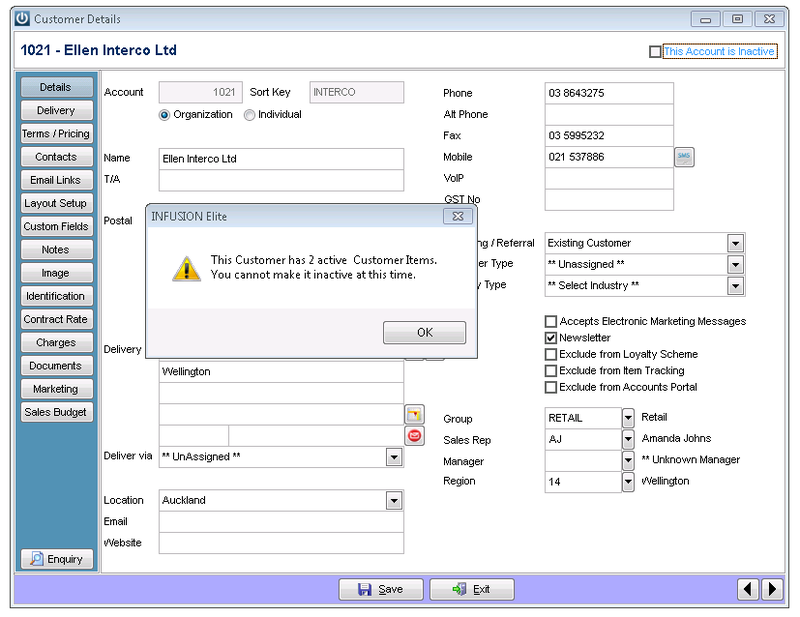 Open the Customer Items module and make the items belonging to this Customer Inactive. This prevents Orphan items. 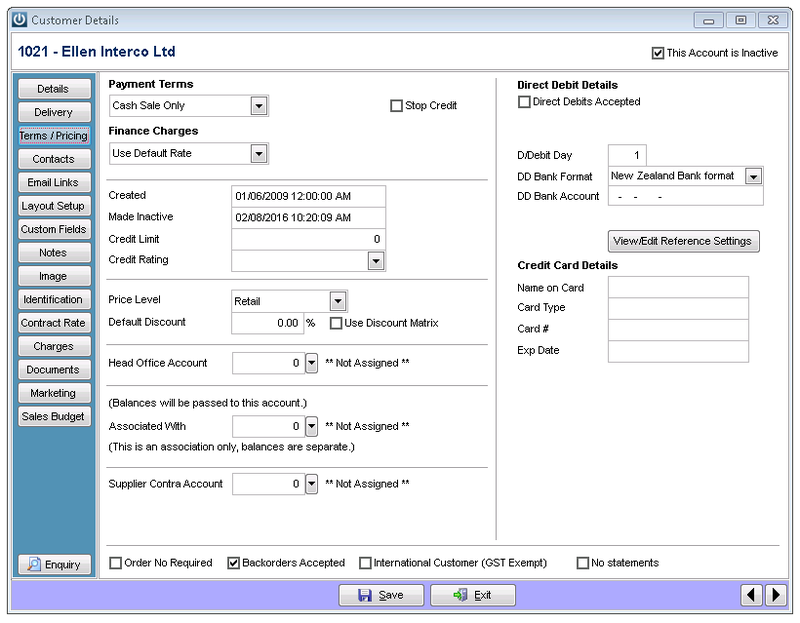 On the Inactive Customer it will now record the date and time the account was made inactive on the Terms / Pricing Screen.